According to Aniplex, a 10min short anime of Gintama "Shiroyasha Koutan" will be released on September 30th. It was shown at Jump Super Anime Tour 2008 and had never been released as a DVD. 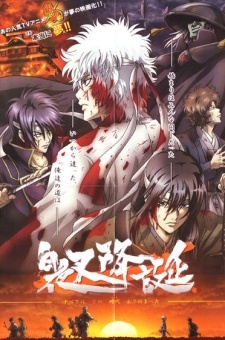 It's a trailer of an imaginary Gintama movie. Gintama OVA shown at Jump Anime Tour '05 is also included in the DVD.